Ritual makes life’s transitions sacred, makes them real to us at a soul level. True ritual is never empty, or rote. I design each ritual with unique elements that make them deep, transformative and memorable for the participants. My ceremonies can be Pagan, non-denominational, or cross-culturally mixed. They can be designed to be accessible to an audience of mixed faiths. Gay and straight, indoor or outdoor, for five or five hundred, let me help you create the rites of passage that celebrate and honor the turning points of your life. Whether a baby blessing, adolescent initiation, wedding, or funeral, the essence of successful ritual is love, authenticity and deep connectedness. I am a licensed California minister through Covenant of the Goddess. When we talk about a ‘fairytale’ wedding, we acknowledge the mythic, magical component of union, the mystical marriage between two hearts, making their emergence far more than the sum of its parts. Often lost in the search for the perfect dress, flowers, and caterer is the most important part of the wedding; the ritual itself. Your wedding ceremony should reflect your unique essence as a couple, and its words should be a poetic invocation of the ecstasy which brought you together, and the quest for growth that will deepen your partnership as you age. In traditional cultures, each child is received into their village with a ritual baby welcoming ceremony. In Celtic cultures, this blessing was known as a seining. Celebrate the uniqueness of your child, and allow your family and friends the opportunity to participate in the profound joy your new child brings to your community. In a culture that lacks formal initiation into adulthood, young people create their own ‘horizontal’ initiations. These initiations generally involve unproductive risk-taking—drugs, alcohol, fast-driving, sexual exploration. For true initiation to take place, the elders must provide ceremonies that are challenge the young person and give them a true sense of crossing the boundary between child and adult, and welcome them into their power. The death of a beloved is the most challenging rite of passage any of us will ever face. Ritual that honors the person who has passed, and provides a safe place to grieve, celebrate and remember, is essential to healing and recovery. Memorial comes from the same root as memory; what is remembered lives. This marks longest night, and shortest day of the year. 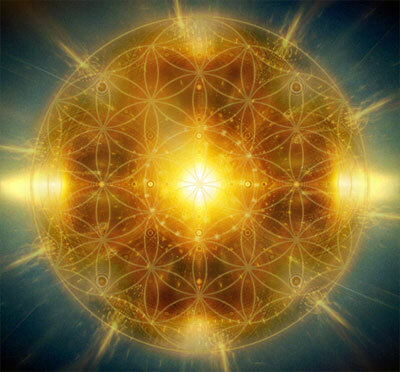 Seen as the time when the Mother Goddess gives birth to the Lord of Light, the return of the sun. From this point forward, the days grow longer, until the Summer Solstice when the wheel of the year turns and they shorten again. All across Europe, people would light a bonfire on the highest hilltop to lasso the sun and call it to return. Evergreens decorate ritual space, seen as a promise that life will be renewed. 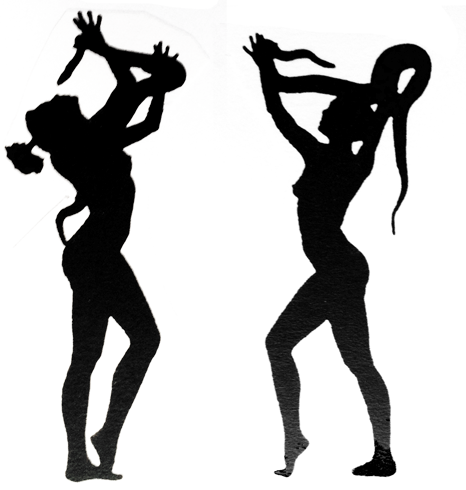 Celebrants stay awake all night singing and telling stories, keeping the Goddess company while She labors through the night. 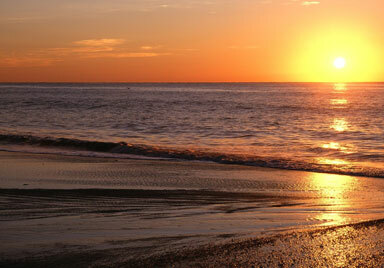 At dawn, the people would gather on the highest hill to greet the sun as it rose. By Brigit, the days are noticeably lengthening, hence the divination by groundhog seeing its shadow to determine how much longer winter will last. 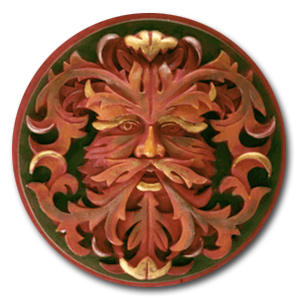 Brigit celebrates the Celtic Goddess Brigit (also Birgitta, Bride, Brigid) who is the triple Goddess of poetry, smithcraft and healing, of fire and water. Traditionally all the fires in the village would be extinguished, and a youth and maiden would be placed naked in a hut with fire making materials to create the new-fire, the need-fire, for the village, which would then be brought to every hearth. 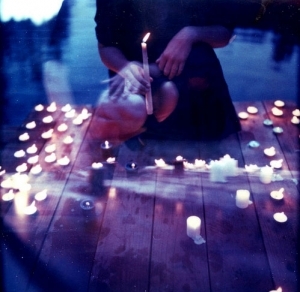 Rituals always involve lots of candles to celebrate the waxing light. Initiations often performed at this time. Day and night are equal length, symbolizing balance and harmony; the fields are plowed, young animals frolic about, the first flowers appear. Eostre is the Celtic Goddess of dawn and spring, and we celebrate Spring’s return with images of rabbits and dyed eggs, symbolizing fertility. Children are honored, ceremonies are playful. The first crops are planted. Spring is in full bloom; fertility and sexuality are celebrated by planting the Maypole in the hole and dancing around the Maypole weaving its ribbons to renew the web of life. 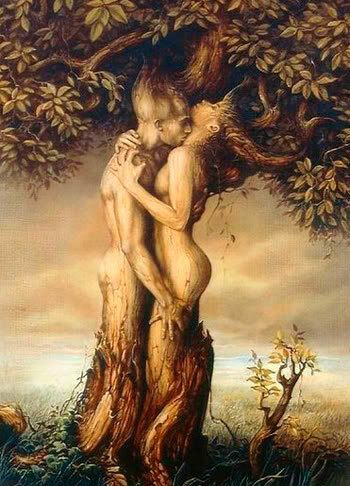 Traditionally people made love in the fields on May Eve to help the crops grow. Known as Walpurgisnacht in Germany, once celebrated with three days and nights of partying. Jumping over a bonfire while making wishes for the coming year is still practiced. The veil between our world and faery is thought to be very thin, making it a magical time. Celebrate with Cerridwen May 2nd, 2015. 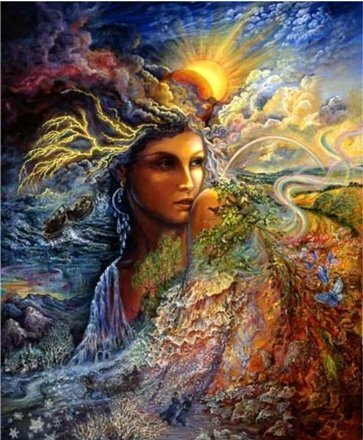 The longest day of the year, time of the sacred marriage between Earth and Sky, and an auspicious time for human marriages as well. The mead, the honey wine made and consumed at this time was essential for the ‘honey moon’. 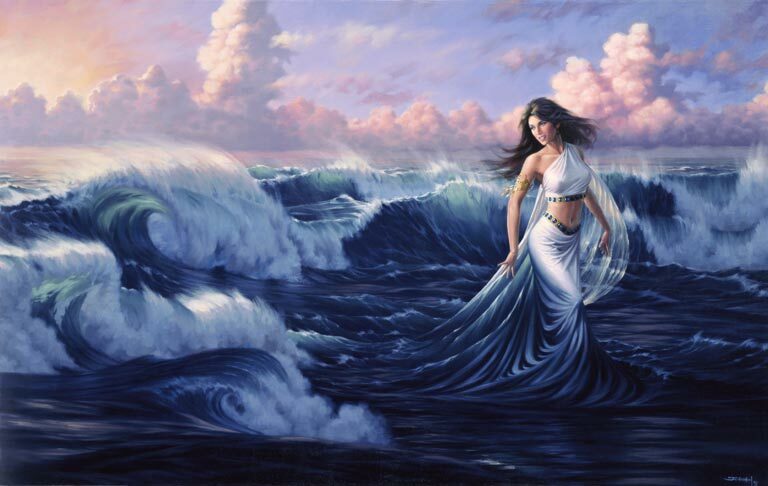 Litha is the Goddess of summer, and at her festival large bonfires are burned, people celebrate with dancing, singing, and love-making, as well as swimming. Often a burning wheel would be loosed from a hill to roll down into a body of water, symbolizing the turning of the wheel towards the darkness. The feast of the sun God Lugh, honoring his sacrifice as he gives his strength to the grain. The days are visibly shorter, though it is still summer. Feast of the first fruits, once a time for huge gatherings to sell and trade horses, cattle and other animals. Bread is baked from the first harvested grain, representing the body of the God. These pagan celebrations represent the first communions, honoring wine and beer as the God’s blood and bread and meat as his body. Harvest Home, Harvest Moon, Thanksgiving, named for Queen Mab, the Faery Mistress of Dreams. The Harvest is gathered, the Goddess is seen as the reaper, cutting the last sheaf of grain in the field. The God is dead, the Sun King is now the Lord of Shadows waiting in the afterworld, in the womb of the Mother, for rebirth. Day and night are once again equal, and celebrants seek their balance before the wheel descends to the dark. Rituals of gratitude and forgiveness are common. Samhain means ‘Summer’s End’ in Gaelic. This ritual honors the dark, and the ancestors who have gone before us. It is a time to grieve, and yet to celebrate. The veil between the worlds is thin. The altars are decorated with pictures of the beloved dead. The Goddess is seen as the Crone, the Reaper; the God is seen as ‘the Comforter, the Consoler.’ Participants usually are led on a trance journey to the Isle of Apples, the Celtic afterlife, to talk with their beloved dead. In old Europe, costumes were worn to confuse and ward off any unfriendly spirits. 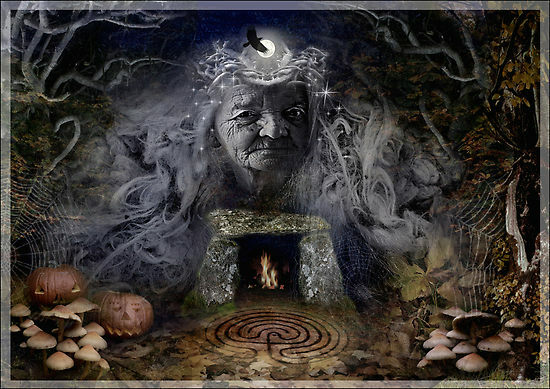 Since all life begins in the dark, of the womb, of the earth, Samhain is the Celtic New Year.